Could Australia deploy spin twins Fawad Ahmed and Adam Zampa at the World Cup? 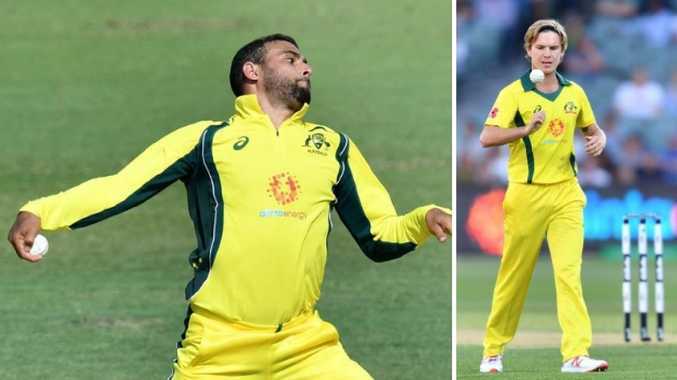 AUSTRALIA has been urged to consider breaking with tradition and selecting two leg-spinners for this year's World Cup in England. 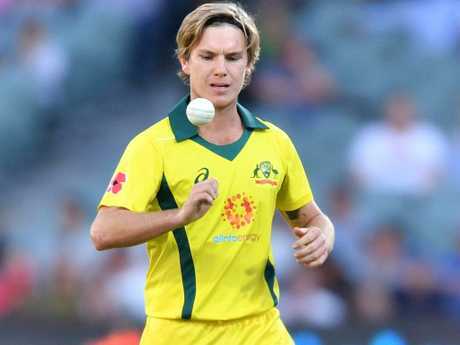 Respected batsman Callum Ferguson said the "real quality" of tweakers Adam Zampa and Fawad Ahmed demanded they both be considered for Australia's 15-man squad. The Aussies have never fielded twin spin and did not play a specialist spinner in the 2015 World Cup final, with squad member Xavier Doherty overlooked. 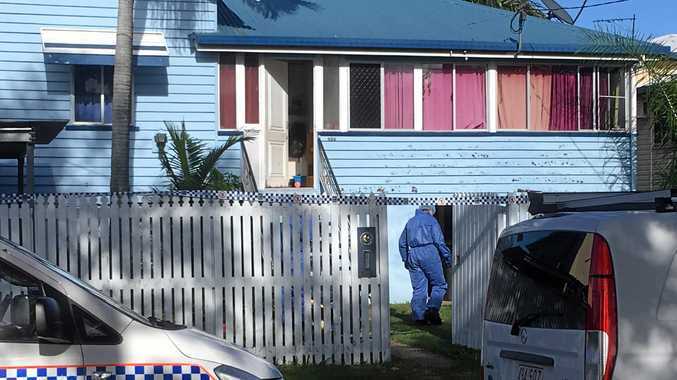 But spinners have since emerged as the most lethal bowlers in white-ball cricket. Most countries now roll out multiple spinners and Australia is set to face as many as 30 overs in its first World Cup match, given Afghanistan boasts Rashid Khan, Mohammad Nabi and Mujeeb Ur Rahman. "I've been a huge fan of Fawad Ahmed for a long time, having played with him at the Renegades and played against him when he's playing for Victoria," Ferguson said. "He's a guy that assesses conditions really well and on some holding wickets over in England I've got no doubt he'd do really well. "Adam Zampa is another one who has a fantastic record in that format and I wouldn't be against us having two legspinners in the one squad for a World Cup. "As we've seen in all white-ball cricket over the last few years, guys who spin it both ways are having a lot of success in 50-over and T20 cricket. "We've got two guys that are real quality and I think they can both have a real impact." Test great Nathan Lyon played the first two ODIs against India this month but failed to take a wicket and was replaced by Zampa for the third match. Zampa has form on England wickets, taking 12 wickets from nine T20 matches for Essex in 2018 at an average of 20.8 runs.